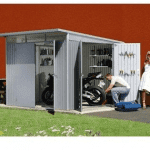 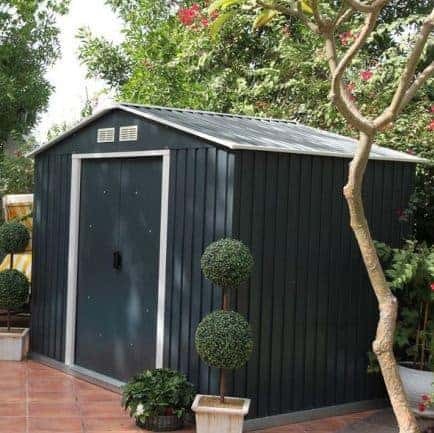 This 10 x 8 metal shed is aesthetically pleasing, and it also has the added advantage of being built with hot dipped galvanised steel. 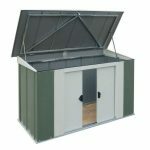 The wide door entry area has an entry ramp across it, so you can wheel in any heavy equipment that you need to store. 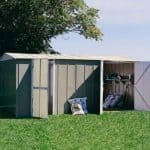 There is a 15 year anti-rust guarantee for the shed, so you have added peace of mind. 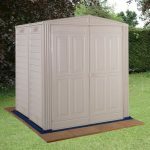 The quality of the shed brings you a building that will not suffer any cracks or warping, and that 15 year guarantee brings that to the fore. 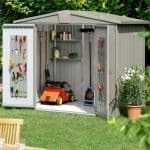 The building is also entirely rot and rodent proof, so your belongings that are kept inside it will be safe and secure.